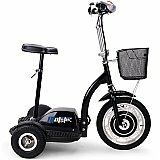 Three Wheel Electric Scooters - Battery powered mobility scooters with three wheels combine stability, agility with performance so you can ride safely. 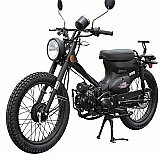 Our latest selection includes the Chariot Electric scooter and the most popular easy to ride Drifter Trike scooter among others. 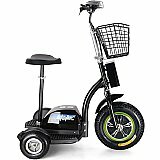 Most of these three wheel scooters can be used as a pre-mobility scooter for any mobility challenged individuals or as utility scooters among other many purposes.